I have Asperger’s Syndrome, and I am a published poet. 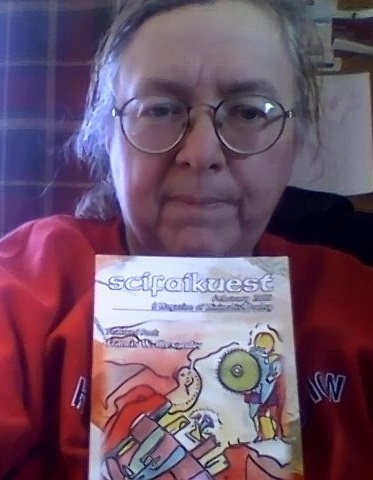 (Picture above shows me holding a poetry magazine that recently published one of my poems.) And sometimes that is a great comfort to me. A couple of years back, I applied for Social Security Disability and had to prove, not that I have Asperger’s Syndrome, but that I’ve had it all my life, including before I turned 21. The government expert— who knew all about autism spectrum disorders since he’d worked with institutionalized autistics— told me that if I was a creative person I could not have an autism spectrum disorder. Which is funny since most of the Aspies I have met online are either writers or artists. Writing poetry— and getting it published— helps me cope. Even though being a poet is famous for not helping the financial bottom line. And I was wondering if other people with Asperger’s, autism or other disabilities might benefit from taking up poetry. After all, writing a short poem is possible no matter how disorganized or autistic you are, so long as you are verbal or can communicate via computer. And it’s a short enough project that even I can get poems finished— I did one this morning. I had the idea of writing a book on how to write poetry— or how I write poetry— aimed specifically towards people with autism spectrum disorders. Both those who want to write just as therapy or a creative hobby, and those who want to submit poems to poetry magazines as I do. I am thinking of calling it Constructing Poetry: A Guide for those With Asperger’s Syndrome and Autism. I’ve already written some notes and a partial first chapter. I doubt a book like that would find a big audience. It’s a very niche concept, and will probably only sell to Aspies and autistics and the parents and teachers of same. But— I’m going to include some of my poems in the book. Probably more than the 24 I have in my chapbook, surly petunia. And I bet it will sell better, as well. I’m hoping to get some feedback from people who have autism spectrum disorders, What would you like to see in such a book? Have you ever tried writing poetry? What parts of it were easy and what parts were hard? In a very secondary way, I’d like to hear from parents and teachers of folks with autism spectrum disorders as well. So— now I’d like your feedback on my book project. Good idea or bad? Would you or anyone you know buy it? To keep up with the latest on the project, go to my FB author page: Nissa Annakindt, poet, Aspie and cat person. Look up. See the stars rating this post? For experimental purposes I’d like everyone who visits this post to rate it with at least one star. Please do NOT give five stars. Thank you. Some poets— especially those who have read Sandford Lyne’s ‘writing poetry from the inside out’— compose poems using keywords. I have used this method myself with some success. But where do you find good keywords to use? Other than Mr. Lyne’s book, that is? One method is to find keywords in someone else’s poem. This is how you do it. Get out a piece of paper— right now— and read through the poem ‘It Wasn’t Me’. Every time a word catches your attention, write the word down. On the paper. Don’t pick out the ‘poetic’ words or the words you think a teacher would want you to write down. Write down the words that moved, interested or horrified YOU. There are no right or wrong answers that can be graded by someone else. These should be single words, as this is a keyword exercise. Phrases will come in another lesson. Try to get at least 4 keywords. Or eight, or 12. If you can get that many from such a short poem. If you have 5 or 9 words, look over your list and omit the weakest, least impactful word. Get out your poetry notebook. If you don’t have one, run out and get one. Right now. A composition book works fine. Open your notebook and write at the top of a page ‘Keywords’. Then, underneath, write ‘It Wasn’t Me/Nissa Annakindt’. Underneath that write your keywords in groups of four. Let the words ferment in your notebook for a month or more. Then, some fine day when you feel like writing a poem from keywords, open it up to your keywords page and select your keywords. It is perfectly fine to NOT use the keyword groups of four but instead to mix-and-match from the words on the page. You may also use 2 groups of keywords if that works better. But you might also go through your keyword lists and use the groups as they are written down. You will want to assemble many, many groups of keywords for your poetry writing. You need not use keywords in every poem you assemble— for me the method doesn’t work as well for writing sijo— but when you do use them, it’s good to have a wide choice. So, let us try another poem— this time one NOT written by me, but by a Korean sijo poet who lived a long time ago, Song Soon. That the wind scatters them. Just as she is leaving? Find and write down keywords from this poem as well. Since it doesn’t have a title, use the first line for your keyword notebook ‘headline’ for the keyword groups. Have your keywords? Please post a comment with a group of keywords you found in one of these poems. For extra credit, post 2 keyword groups, one for each poem. Shared on Poetry Pantry 283. Got a blog? Write poems? Share them on Poetry Pantry! Today I checked on ‘Where the Opium Cactus Grows’, my first poetry book. I’ve only made 10 sales since publication in 2011. 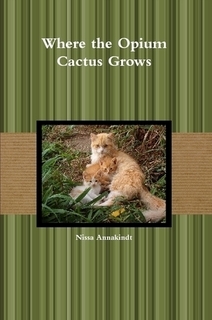 So I’d like to ask any stray reader of the blog to do me a favor: could you share this link http://www.amazon.com/Where-Opium-Cactus-Grows-Annakindt/dp/0557939135 on your blog, Facebook or Twitter? (If you are rich, perhaps you’d consider actually buying a copy yourself?) My goal is to sell 10 more copies of this book. Step one in the adventure of writing a Collom lune— discover what a Collom lune is. Which involves knowing what a regular lune is. The lune is a poetic form— like the sonnet, haiku and rispetto. The lune was created by poet Robert Kelly, and is a poem with 5 syllables in the first line, 3 in the second, and 5 in the third. There are no other rules, unlike haiku. Enter the poet Jack Collom. He was teaching a class of children to write poetry, and misremembered the rules for the lune. He had his students counting words, not syllables. The Collom lune is also a tercet (three-line poem) but has 3 words in the first line, 5 in the second, and 3 in the third. There are no other rules. While some readers may think of the Collom lune as something to use in a homeschooling lesson on poetry writing, the Collom lune can do more than that. It is a great poem for the serious poet to try. In most poetry, it’s the syllable that’s important. 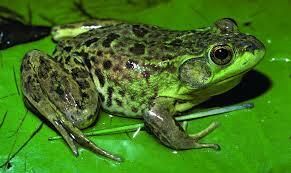 That goes for an iambic pentameter poem as well as for a haiku or a sijo. By using word count, the poet can achieve interesting effects by using both multisyllable and one syllable words. I have written poems consisting of three or four Collom lunes together. To write the Collom lune, I start with a group of keywords to give me ideas. I write down three lines that I hope end up in the 3-5-3 word structure, but I’m not too fussy. If the word count’s not quite right, I revise. Like Jack Collom, I am a misrememberer. My first attempt at a Collom lune was 5-3-5, which I call a reverse Collom lune. threads through corn, bean fields. Have you ever sat down to write but felt out of ideas? 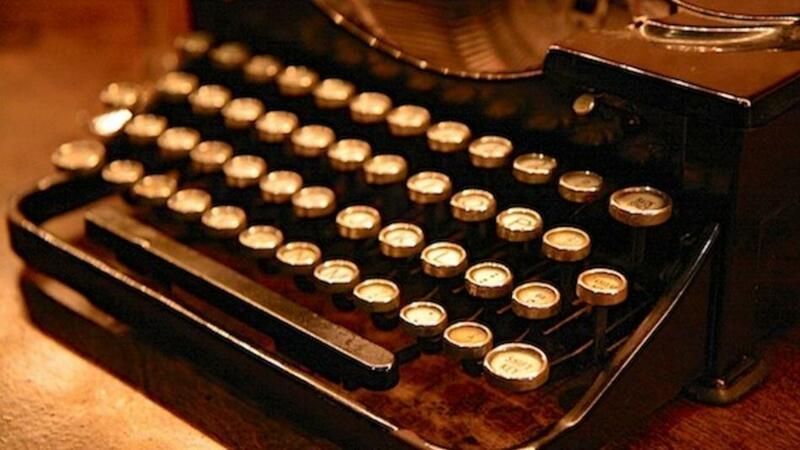 Or have you been able to write, only to find what you produced seemed predictable and dull? There is a technique which could help you move beyond that— the use of keywords in composing a segment of writing. I’ve used something similar myself before— in fact, it’s my go-to method when writing poetry. But recently I bought a book called ‘Writing Poetry from the Inside Out’ by Sandford Lyne which uses this technique. Lyne, a Louisiana poet who leads poetry writing workshops, suggests using word groups of four words, and gives a whole appendix full of them in the book. Me being me, I mix-and-match from his groups so I don’t come up with anything too dull. For example, this morning I used the words ‘dragonfly, jewels, emperor, moon’ to write a poem. The dragonfly turned out to be a jewel thief. Now, the way I have used keywords in the past in poetry is finding them at random from a book or newspaper. (Remember newspapers?) Often I would grab a dictionary, close my eyes to flip the book this way and that, open the book at random and point to a part of the page, and open my eyes to see what my new keyword was. OK, sometimes I cheat. I take the most interesting word from more-or-less where my finger was pointing. I’ve also been known to use a whole phrase as a keyword. And I sometimes use a lot more than just four words. I’ve written poems with many keywords from two or more distinct and different sources— like a Catholic prayer book, a book on nuclear war, and a communist economics book, which led to my poem ‘nuclear sainthood profits’, a poem I still enjoy to this day. What about prose writers? The keyword method can work for you too! Say you are writing a scene this morning and you don’t know for sure what to write. You have an idea or two, maybe, but nothing excites you. So, to start, find at least four random keywords. Get them from the Lyne book if you have it, or from random words from books. If you are writing historical, use a book about the period to glean keywords from. This also can work for medieval-style fantasy. Sci-fi authors can use science books and sci-fi novels, political thriller authors can use political books or the newspaper. Or you can get a few keywords from something very different— a prayer book or the Bible to glean words for your science fiction or technothriller book. Write your keywords on a pad of paper which you keep next to your writing area— you want to be able to glance at it as you write. Get going with your writing, and try to work a keyword or two into your work. It doesn’t have to turn into a major plot point or anything. Just a mention. If you have the right keywords, and enough of them (but not too many), one or more of the words ought to excite you— at least a little— in connection with the scene you are writing this morning. If you are having the kind of day when nothing excites you, use one of the words anyway. Especially one that strikes you as a bit off-the-wall or odd in the scene in question. You may like it. Or you can always take the word back out again the next day. Why does the keyword method work? When you sit down to write, you have an infinite number of choices about Absolutely Everything. That often can prove overwhelming. Deciding that you ‘have to’ work certain keywords into your poetry or prose cuts back on those infinite choices. It’s a small challenge which can take your mind off of fears you have about making the right choice every time in all the bigger writing issues. Warning: just because the keyword method, as I lay it out, works for ME doesn’t mean that it will work the same way for YOU. Try different types of keywords, different numbers of them, different sources. You may find a way to make keywords work for YOU. Or you may not. Do what works for YOU!